German trade magazine Soundcheck tested two Omnitronic PNM-6 studio monitors for its September issue. The verdict on the studio monitors with only 7 kg weight was completely positive. After careful listening, the magazine stated that the PNM-6s don’t let their compact measurements be heard: „They sound bigger than they are. Especially the vehemence of the basses and low mids is amazing regarding the size of only six inches“. The fact that clipping, artefacts and reduction loss are clearly hearable, convinced the magazine: “The most important function of a studio monitor is accomplished, the PNM-6s relentlessly expose faults”. Testers were not only enthusiastic about the clarity of the boxes, but also about the price-performance ratio: “Aside from the fact that the impact of these nearfields is fun, the clean frequency response allows an estimation of the basses on a level that usually must be paid with more money”. It’s not surprising that the result and the recommendation of the test are completely positive: „For little money you get a pair of boxes, which impress with a powerful bass section, good stereo positioning and excellent offset in depth. 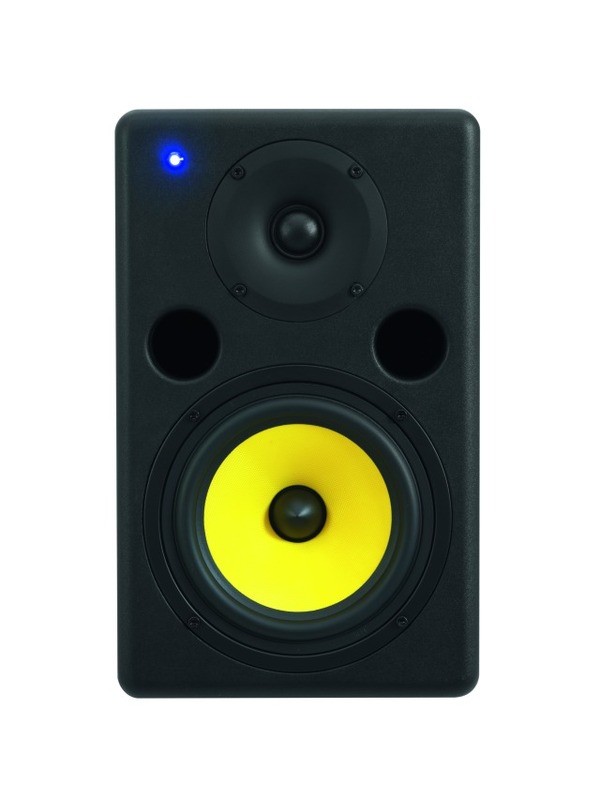 […] Anyone who is looking for a low priced pair of studio monitors, should definitely write the PNM-6s on his list”. For more information on the PNM-6 and other monitors in this series, see http://eshop.steinigke.de/en/Omnitronic-PNM-Series/ . German trade magazine ear-in put the Omnitronic SHP-777BT to the test in their latest issue. The result: Excellent. The headphones convince whether used as wireless companions on the go or wired on an amplifier. 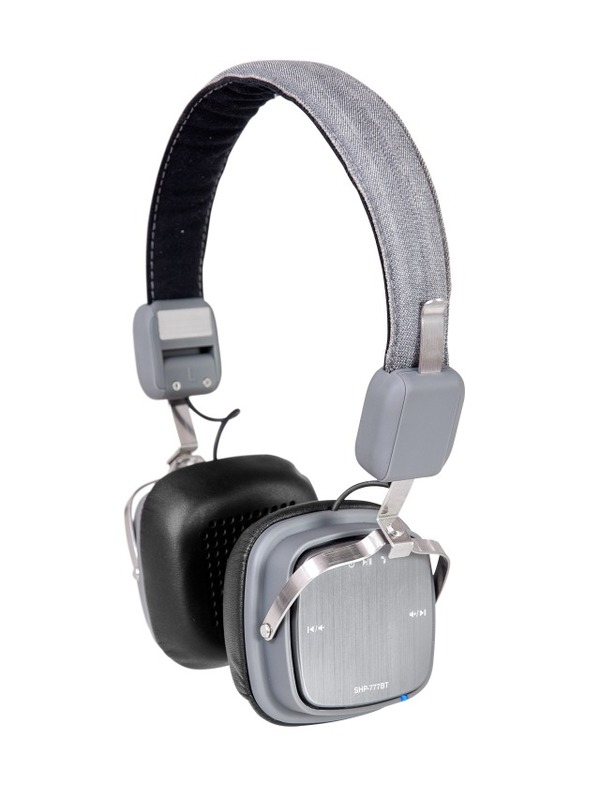 The speciality of the SHP-777BT: Thanks to Bluetooth equipment, the headphones can be operated wirelessly. This way, they are a perfect match for smartphones as well as IPods and ideal travel mates. Of course they also work with cables – and show strengths then, too. When judging sound, the testers differenciate between active operation with cables and passive operation on an amplifier: „Active, via Bluetooth, the sound is balanced. The bass is not obtrusive, a little taken back in the highs. It doesn’t sound dull at all“. Operated passively on an amplifier, the SHP-777BT shows other strengths: „Connected to a good amplifier, the sound positioning moves back into the head, definition and dynamics become more distinguished. The tonality shifts in different directions now with mighty basses and radiant highs, which, together with the gain of mentioned qualities, really agrees with the headphones“. The features of the SHP-777BT were judged business-suitable by the testers as well: „The cloth-covered headband of the SHP-777BT, which is available in grey and black, the slender joints and the modern, square-formed housing present a dignified style.“ The headphones’ fit and soft cushioning were rated as „excellent“. It’s no wonder that the testers give an all-round positive judgement: „The Omnitronic SHP-777BT has two faces. Wireless via Bluetooth, it shows a very sophisticated, convenient character, but in team play, cable-connected with the right team mate, it outdoes itself“. 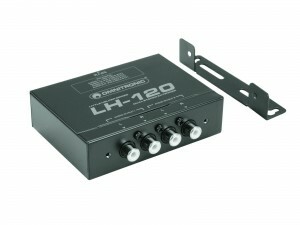 The Omnitronic SHP-777BT is recommended as wireless travel mate as well as for use with an amplifier. 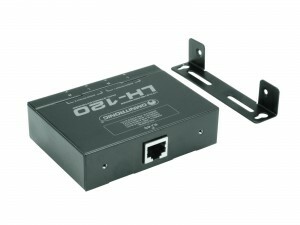 For more information about the SHP-777BT, see http://eshop.steinigke.de/SHP-777-BT/ . How to transmit audio signals over a long distance? The OMNITRONIC LH-120 is a passive CAT-5 extender which allows transmission of two stereo audio signals over a single network cable (UTP/CAT-5 and higher) in a point-to-point connection. Used in pairs, the extender allows four coax audio cables to be replaced by a single CAT-5 cable up to a distance of 600 meters. Its compact design and easy installation makes the extender ideal for custom commercial and home audio systems, intercom systems, rental and staging systems and AV conference systems. DVD players, audio receivers, audio amplifiers, audio mixers, audio matrix switches and other unbalanced line-level audio equipment. More and more young people suffer from hearing loss of 25 decibel or more, mainly caused by loud music from portable MP3 and CD players or discotheques. Everybody operating amplification systems should know to what sound pressure levels he exposes his or the audience’s hearing. As an average levels between 75 and 105 dB(A) in the discotheque or 95 and 115 dB(A) at a rock concert are reached. Individual peaks can exceed the pain level at 130 dB(A). Such levels are typical for motor chainsaws or jack hammers.